As we’re witnessing with the current crop of knee pads, everyone’s trying to design the most comfortable product possible. Ultimately, the more comfortable a knee pad is to wear, the more likely you are to wear the knee pads for the entire ride, every ride. 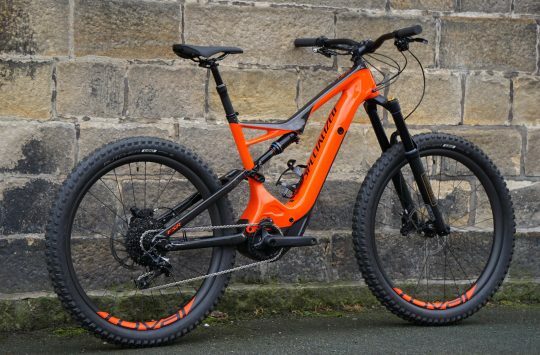 Because as we know, Murphy’s Law dictates that as soon as we don’t, that’ll be the one ride with some bloody annoying crash that leaves our skin red-raw after sliding along the ground. Making a knee pad comfortable is tricky. The knee is a highly mobile joint that flexes and extends thousands of times every single ride. To make a knee pad flexible and comfortable, some brands use fancy materials, and other brands use a super-minimalist design. 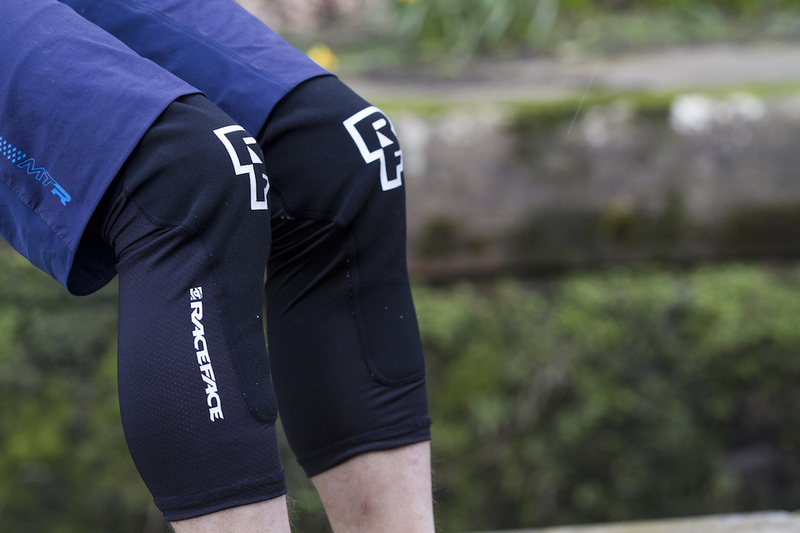 The Race Face Charge knee pads fit into the latter category, being about as minimalist as you can get. 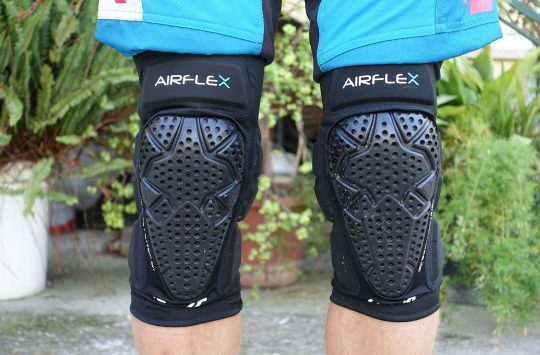 They’re designed as knee pads for people who don’t like wearing knee pads, with very little padding and a lightweight tube-style construction. If you’re looking for more dedicated impact protection, Race Face offer several burlier options including the Indy and Ambush knee pads. 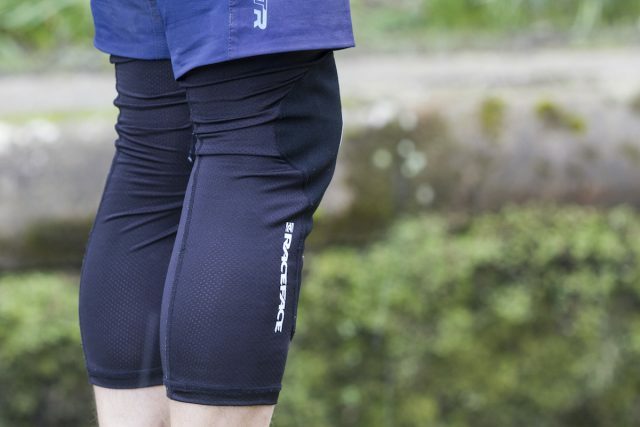 But for the XC and trail riders out there who want to avoid bulky body armour, these could be the ticket. The Charge knee pads are the lightest option from Race Face. “Some days even your go-to trail doesn’t want to play nice. Second-skin fit offers the ultimate in comfort and mobility on XC and lighter Trail rides while strategic Kevlar fabric mapping ensures minimal, yet targeted coverage against nicks and abrasions. Note: This guard is not rated for impact. 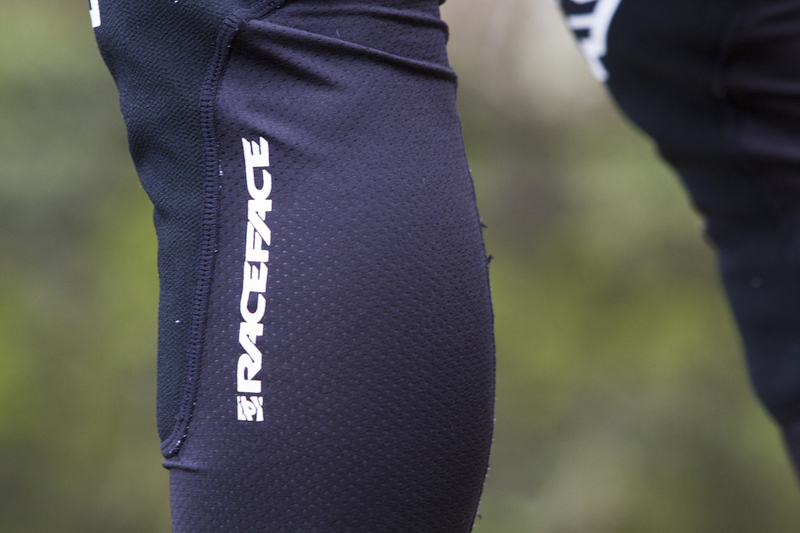 It is recommended for minimal coverage against nicks and abrasions” – From Race Face. 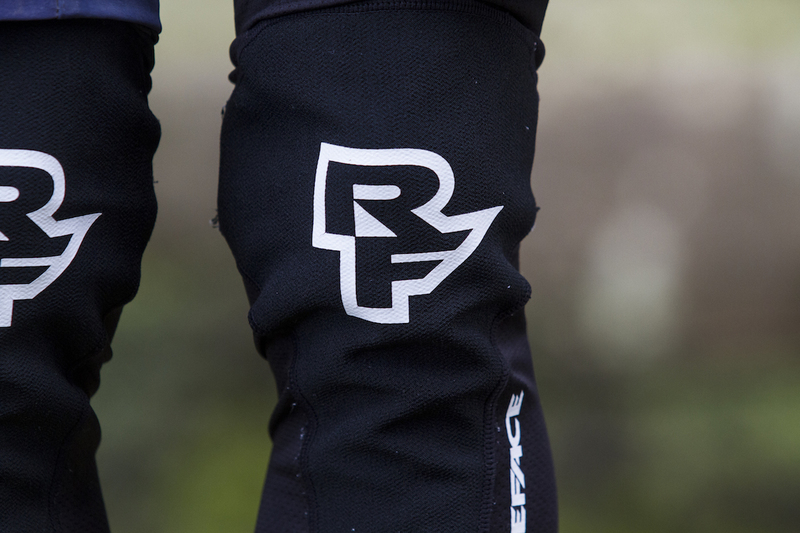 Using a lightweight mesh construction, the Charge knee pads are for XC and trail riders. The butterfly mesh fabric is breathable and moisture-wicking. Available in five sizes, the Charge knee pads use a thin tube-style construction that is very much reminiscent of a knee warmer. They slip on just like a knee warmer, and use an elasticated cuff at both the top and bottom of the sleeve. Inside the top cuff you’ll find a layer of silicone that offers more traction against your skin, while a small strip of silicone detailing is also used down on the shin inside the lower cuff. The fabric itself is a breathable mesh, deigned to wick away sweat as it accumulates, while allowing air to flow freely. A foam pad is used over the front of the knee cap, and that’s covered by a Kevlar fabric to provide a tough barrier between your skin and abrasions. Compared to the other 13 products in our knee pad grouptest, the Race Face Charge knee pads are by the far the lightest and slimmest. Compared to the POC VPD Air knee pads, there is a significant difference in how much protective material there is used on the Charge knee pads. To clarify, these are not knee pads designed for taking hard impacts from rocks. Instead, they’re designed with minimalist protection in mind that will keep your knees and legs protected from abrasions and light cuts. Providing that protection is a lightweight foam pad that covers the kneecap and the upper shin on each leg, with a tough Kevlar fabric cover over the top of the padding. The fit on the Charge pads is close-fitting, though the fabric does bunch up somewhat on longer rides. 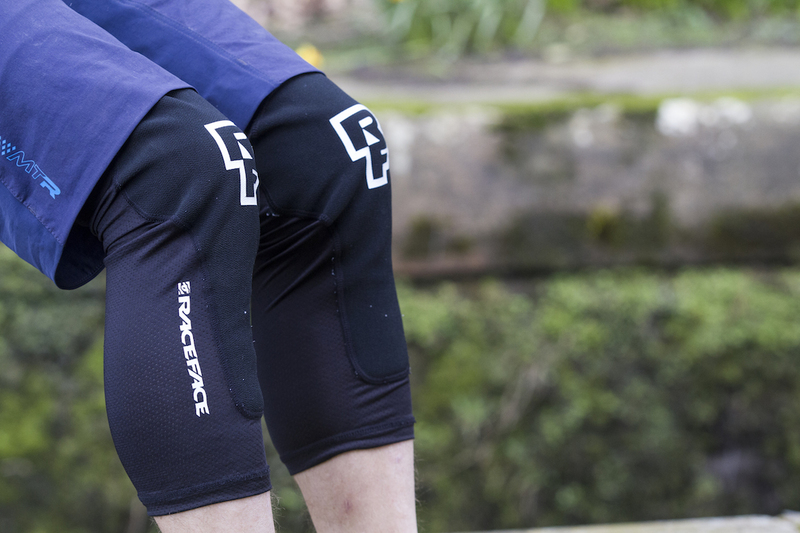 As you’d expect from such a lightweight knee pad, the Charge delivers uninhibited pedalling comfort. The stretchy fit of the Charge knee pads means they slip on easily, and you’ll find no tugging or pressure points anywhere, except for the elastic cuffs at the top and bottom, which remain snug on the skin. Breathability is excellent too, with the mesh fabric offering good ventilation that means you can comfortably wear these on those shorter summer after-work XC rides, where you skip the backpack and just take a bottle and your phone along with you. While I (thankfully) didn’t plunder my knee caps into anything heavy while wearing the Charge knee pads, I’m certainly glad I didn’t. There’s not enough padding here for such occasions, but having a tough Kevlar layer between your knee and sharp and pointy things on your bike and off it is reassuring. If you don’t like wearing knee pads, the Charge pads are an ideal gateway into comfortable all-day knee pads. The only issue I encountered with the Charge knee pads is that the mesh fabric does have a habit of bunching up a little behind the knee on longer rides, and there was some slipping from the upper cuff. That meant I would occasionally have to stop to pull them back into place, though that’s part of the parcel with many other knee pads too, so the Charge’s aren’t alone there. Using a knee warmer design with a lightweight foam pad over the top, the Charge knee pads are super minimalist, and highly comfortable to wear. 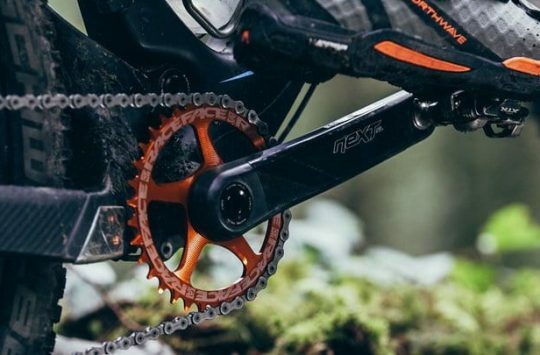 They won’t shield you from bigger hits, but they will protect your skin from scrapes and scratches while riding along overgrown trails. 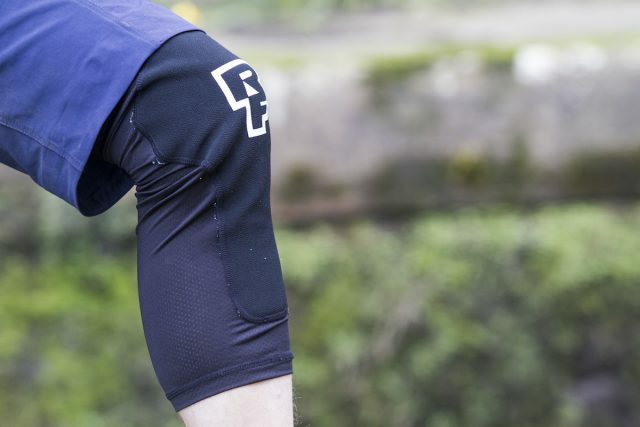 For cooler rides, the Charge knee pads do well at keeping cold air off your kneecaps, though Race Face also make an insulated version called the Charge Zero for winter riding conditions. If you detest knee pads, the Race Face Charge knee pads are an ideal gateway option for getting used to riding with pads on each and every ride – because just like a helmet, knee pads are increasingly becoming mandatory trail wear for mountain bikers of any discipline.